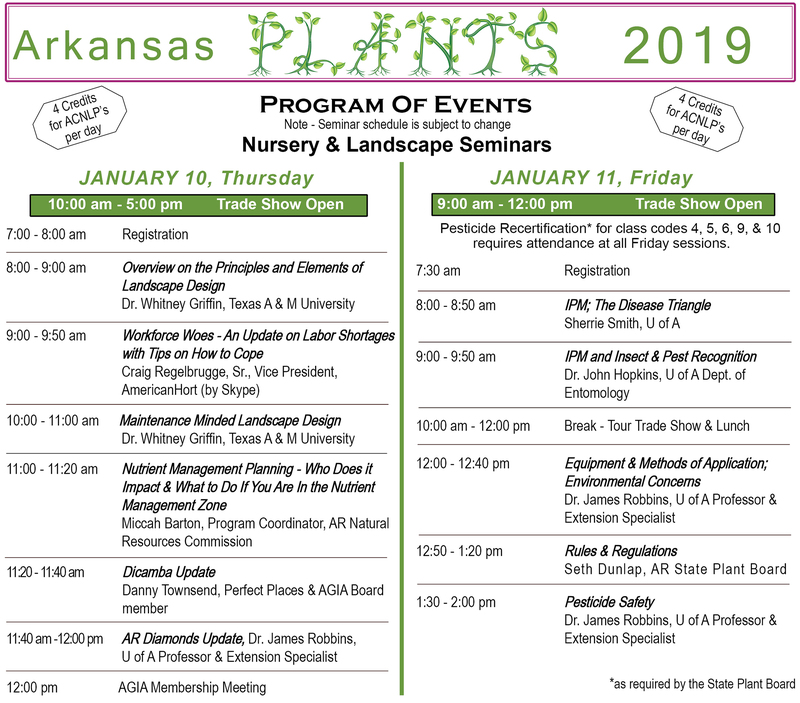 The Arkansas Green Industry Association - AGIA (formerly the Arkansas Nurserymen) is a professional trade organization dedicated to serving the Green Industry in the State of Arkansas and to the advancement of horticulture. Through member benefits such as educational activities, a certification program, yearly trade show and seminars, newsletters, member directories, window decals, group insurance policies, etc., the organization strives to meet the needs of the members. DISCOUNTED registration fees for multiple attendees from the same company! to print and either mail or fax with payment.